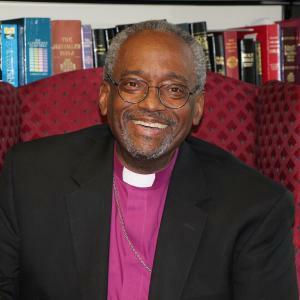 Each bishop and diocese, operating through an annual convention, determine the character of life and work in that diocese within a set of general decisions made by a triennial General Convention of The Episcopal Church as a whole. These decisions are formalized as canons—rules that govern—by The Episcopal Church and subsequently by each affected diocese. Each diocese elects and sends clergy and lay representatives—deputies—to the General Convention. The annual Convention of the Diocese of Hawaiʻi takes place each October. We are known for our engaging and beautiful worship services. For those who have grown up Roman Catholic, the service, known as the Mass, Eucharist or Holy Communion, will be very familiar. For those of reformed tradition or no religious tradition at all, we think you may find a spiritual home in a church that respects its tradition and inspires a sense of awe and wonder at the power and mystery of God. All services follow the forms found in the Book of Common Prayer and Enriching Our Worship. We walk the "middle way" between Protestant and Roman Catholic traditions. We often talk about the Episcopal Church as following the “via media” or middle way in our liturgy and theology because our tradition includes elements from both the Roman church and the Protestant Reformation. The Apostles’ Creed is the Baptismal Symbol; and the Nicene Creed, is the sufficient statement of the Christian faith. These Creeds were adopted by the Church in the fourth century. The Apostles’ Creed is said at Baptisms, Morning Prayer and Evening Prayer. The Nicene Creed is said every Sunday at the celebration of the Holy Eucharist in Episcopal and Anglican churches around the United States and world.(http://www.creeds.net/ancient/nicene.htm). There are two Sacraments ordained by Christ: Baptism and Holy Eucharist. In Baptism (with water in the name of the Holy Trinity), we renounce Satan, repent of our sins, and adopt Jesus as our Lord and Savior. In the Holy Eucharist (with Bread and Wine), the center of our worship life, we remember and participate in the life, death and resurrection of Jesus Christ until his coming again. The basis of ordained ministry is the Historic Episcopate (with bishops, priests and deacons), locally adapted in the methods of its administration to the varying needs of the nations and peoples called of God into the Unity of the Church. For further exploration of the teaching of the Episcopal Church can be found in the Church's Catechism: (http://www.bcponline.org , click on "The Catechism"). Here the teachings and beliefs of the Episcopal Church are articulated in this "Outline of the Faith." It is designed in a question and answer format. 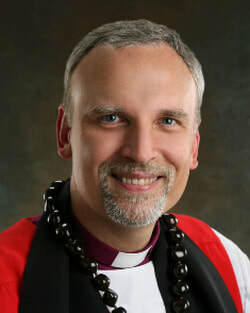 After being elected by Hawai'i clergy and laity in October 2006, Bishop Robert L. Fitzpatrick was ordained as the Fifth Bishop of Hawai'i, on March 10, 2007.